Orissa Post – New Delhi: Former Australia captain Ian Chappell feels the Virat Kohli-led side is India’s best in pace bowling and fielding but it is nowhere close to being the best in batting. New Delhi: Former Australia captain Ian Chappell feels the Virat Kohli-led side is India’s best in pace bowling and fielding but it is nowhere close to being the best in batting. New Delhi: Congratulatory messages continued to pour in a day after India’s historic Test series victory on Australian soil with legendary batsman Vivian Richards labelling the visitors performance as ‘magnificent’. Pakistan Prime Minister and former cricket captain, Imran Khan also congratulated India on becoming the first Asian team to win a Test series in Australia. 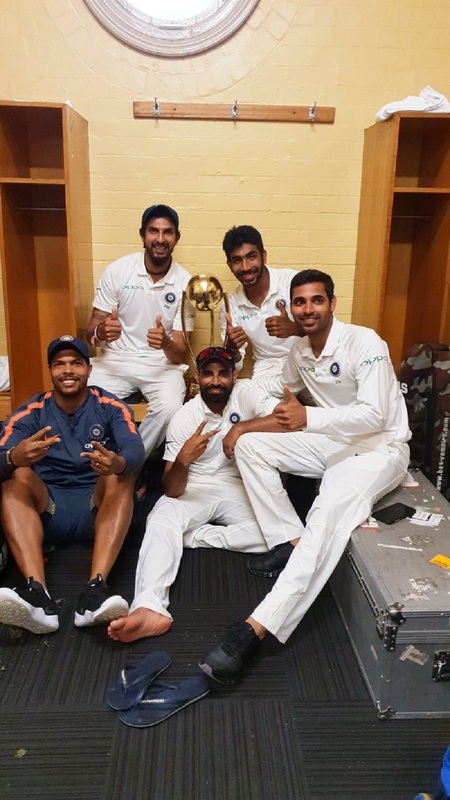 “Congratulations to Virat Kohli and the Indian cricket team for the first ever win by a subcontinent team in a Test series in Australia,” Khan tweeted.